Go back to Saturday, January 27, 2018, and the halls of Phoenixville Foundry were bustling with energy and innovation. 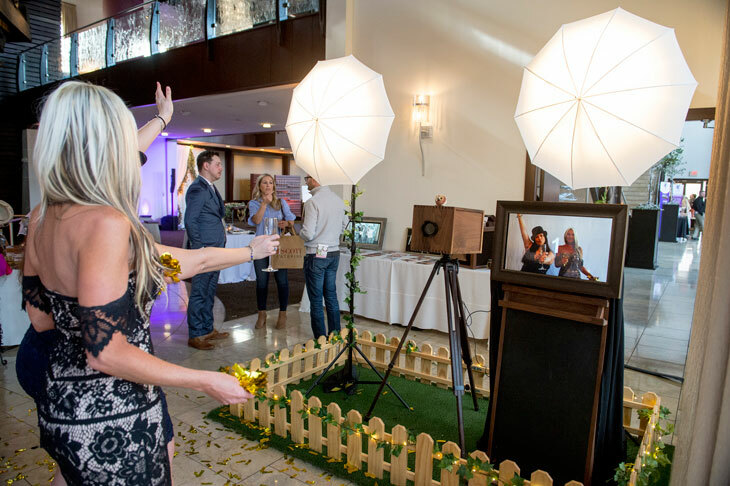 Whether you joined us or only heard about the action, the 9th Annual Chester County Bridal Showcase is worth revisiting. 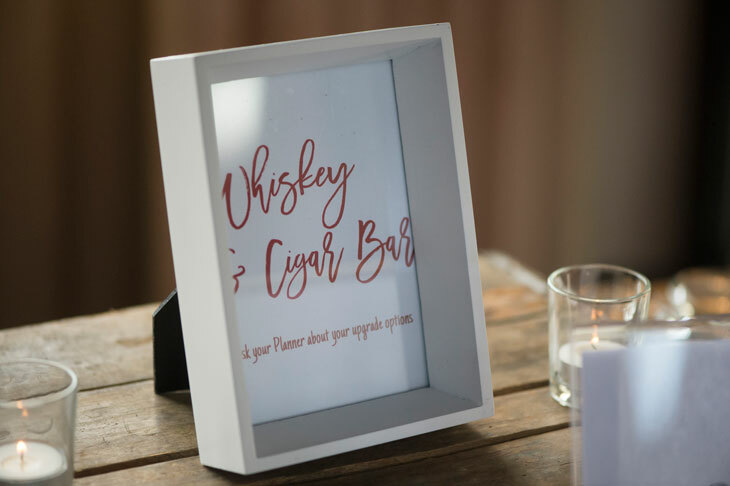 While guests stepped up to the whiskey and cigar bar, relaxed in the lounge and met top wedding vendors, they enjoyed the fine food and service that our experienced team is trusted to deliver. 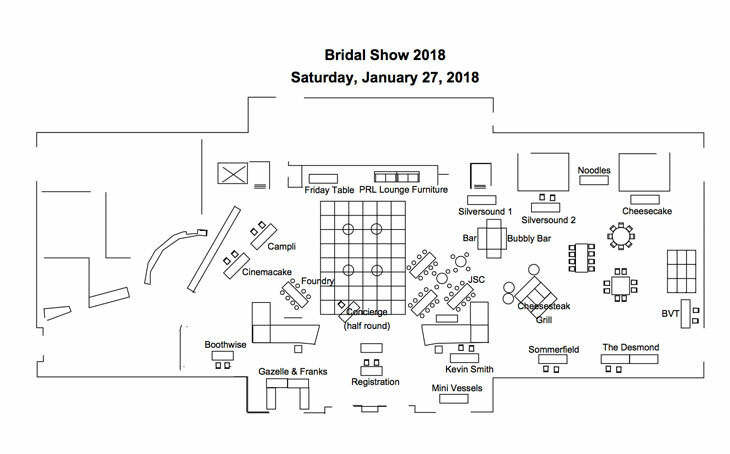 Learn how a carefully designed floor plan and creative custom menu maximized guests’ experience at this bridal showcase. 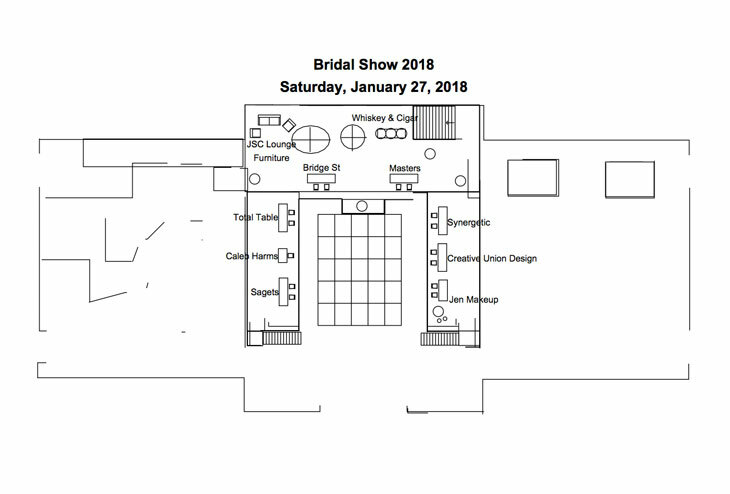 The 115 guests who came to this top bridal show had three hours, from 11:00am–2:00pm, to meet all the phenomenal local vendors in attendance. Like any premier bridal show, there were a great variety of professionals and services on display. And it was our job to make sure our catering services kept guests engaged, energized and moving about. The foundation for this was a solid floor plan that dispersed vendors, beverages and food offerings. 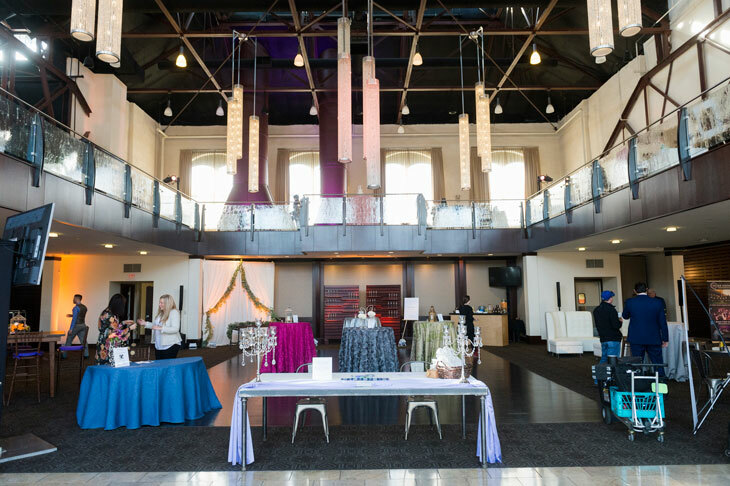 Notice the exceptional diversity of wedding services that gathered at Phoenixville Foundry—from essential needs like those provided by Synergetic Sound & Lighting and Total Table to sweet offerings from Bridge Street Chocolates. This bridal show covered all the bases. And it did so in a fun and engaging way, with guests snapping fun photos, testing out airbrush make-up by Jen Farhood and visiting our chef-attended action stations. One of the first offerings to catch the eyes of guests as they moved about the vast Phoenixville Foundry space was the whiskey and cigar bar. We provided a barrel bar and plank setup and a friendly attendant to pour the whiskey into single rocks glasses with ice. 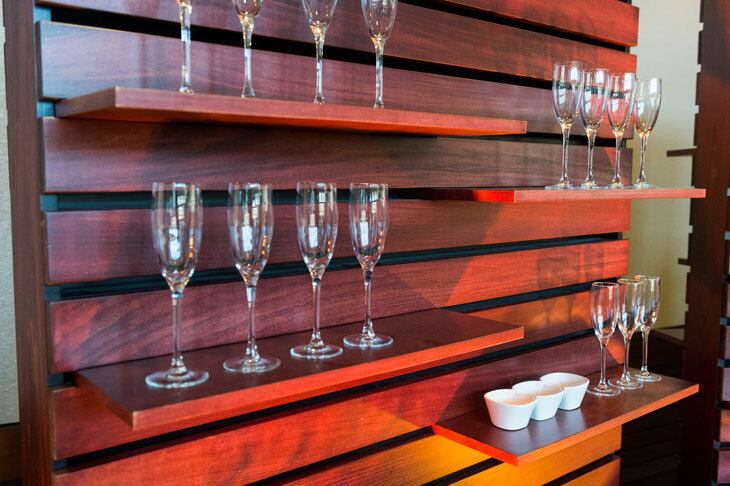 When it comes to selecting which great whiskeys to showcase at events, we frequently recommend our clients seek the advice of Frank’s Wine—they always find one that perfectly pairs with your desired event atmosphere. Asian noodle bar: choice of lo mein, udon and ramen noodles with sliced pork, ginger shrimp or pulled pork and soy sauce, chopped scallion, sriracha, sesame oil, sambal, broccoli, carrot, hoisin, lime wedges, pea shoots, green beans and cucumber. Cheesesteak grill: with guests’ choice of American, provolone or cheese whiz cheese as well as sautéed onions, sautéed mushrooms, sweet and hot peppers, ketchup, mayonnaise and hot sauce. As vast as the array of wedding vendors at this bridal show were the choices of delicious drinks. Refreshing in style and taste, the beverages found at both the standard bar and bubbly bar boosted guests’ energy and enthusiasm. 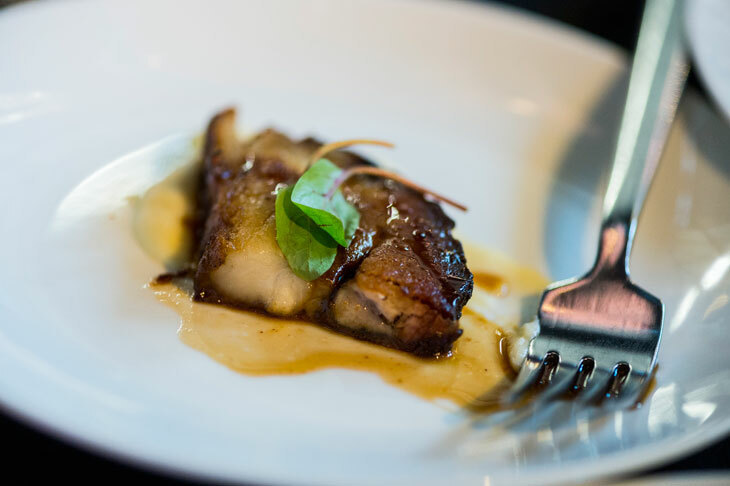 Each attendee found the perfect pairing to every dish—although the Blood Orange Moscow Mule and Citrus Sangria with fresh mint garnish were top picks all by themselves. 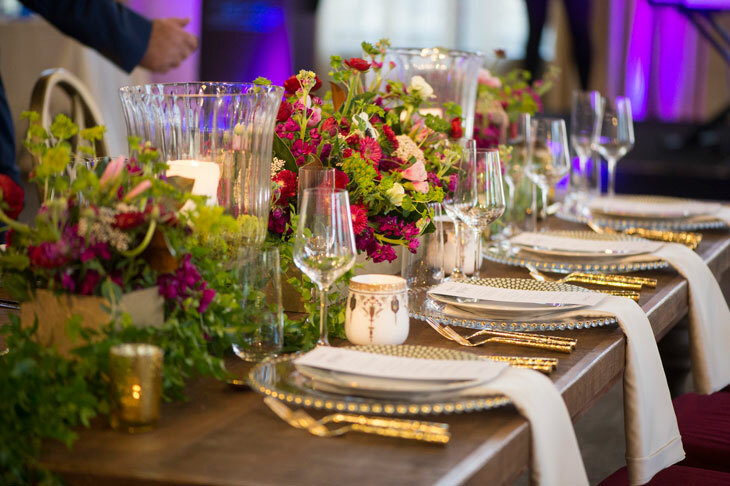 Just like the beautiful flowers and elegant linens that put the finishing touches on the already glamorous Phoenixville Foundry event space, scrumptious desserts capped off our incredible catering service. Guests loved the cheesecake served in porcelain dishes with their choice of six different fruit purees, fresh fruit, coconut, chocolate chips and whipped cream. Guests’ sweet experience ended on a real high with the 70 boxes of macaroons. 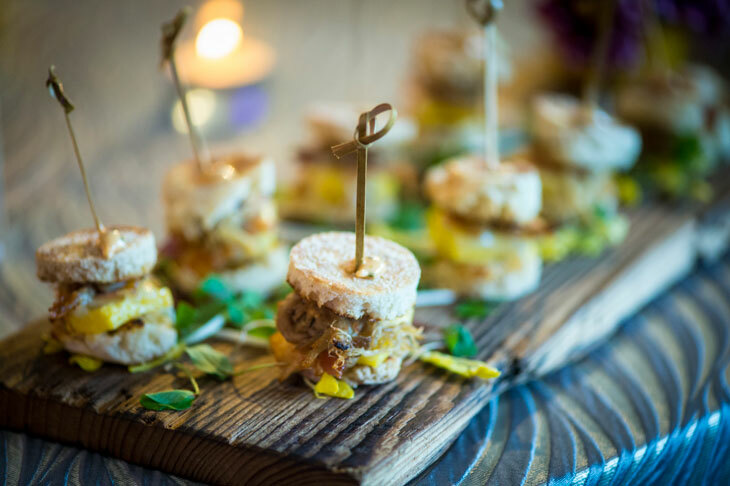 Designing creative custom menus with great flavor and flare is only one way that our experienced team elevates guests’ experiences at Philadelphia events. To enlist the full support of our experts, contact our experienced team online or give us a call at 610.725.9420.